I saw these beautiful flowers on one of my recent afternoon strolls and had to take a photo. The wind was blowing fairly briskly and I had a hard time getting them in the frame. The plant itself was just loaded with blooms. Wonderful light and pink color in this shot. Beautiful! Just discovered your gallery and see that you haven't been with the dailys long...welcome. 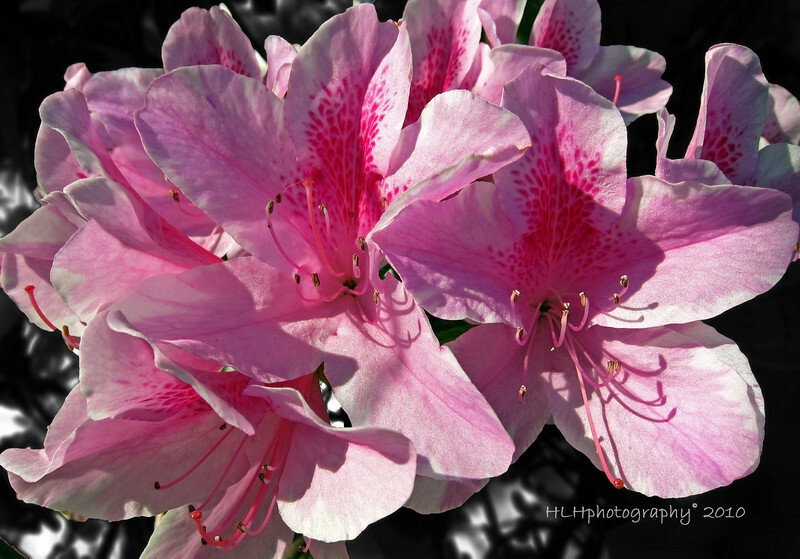 Beautiful azaleas, mine won't bloom for a while yet. Gorgeous spring shot -- love the light and colors!